Medical and communications teams have made it to the campus of Quisqueya Christian School in the Delmas neighborhood of Port-au-Prince. News from missionary Els Vervloet says a team from Kansas City-based Crisis Response International has set up a medical base. 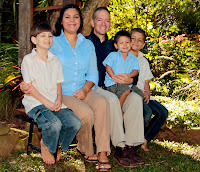 The six-member CRI team came in via the Dominican Republic. Another team has come from Cap Haïtien, in the north of Haiti, with communications capabilities. One of the biggest barriers to the developing relief operation is the lack of communications infrastructure. Pre-earthquake systems were meager and the earthquake knocked out many of the existing network including cell phones and many landlines. An orthopedic team from Germany was directed to the QCS campus and are camping there while working at nearby Hôpital Espoir (Hope Hospital). The fact that the security wall around the campus is intact is a great comfort to those staying on the premises, including children from a nearby orphanage which collapsed. Ruth Hersey of QCS reported that this hospital was completely out of supplies though the medical staff continued to work heroically. A doctor was dispatched to round up analgesics and dressings from the medicine cabinets of any neighbors who could spare them. Ruth reported she was surprised to find how many useful medical supplies she had in her own house! An emergency team from the US Army also plans to set up operations on the school campus, reports Vervloet. Despite reports yesterday that the desperately needed emergency help had been largely held up at Toussaint Louverture airport due to logistics issues, the missionary writes on Facebook: "Still professional rescue teams working everywhere and getting people from under the rubble (dead and alive). Lots and lots of Dominican trucks with water and hot food on the streets distributing to the homeless. I saw lots of portable toilets set up. Encouraging!" To donate through Paypal to ongoing relief work at Quisqueya Christian School, go to their website and click on the Donate button at the bottom. Gracias, Clara y Pepe. Saludos para ustedes. Ñandejára tapenderovasa! This is Hannah Bevills, I am an editor for Hospital.com. We are a medical publication whose focus is geared towards promoting awareness on hospitals, including information, news, and reviews on them. We are in the process of adding a medical supplies/equipments section offering an extensive list of information related to medical equipments. We would like to have our site included within your blog and offer our information to your readers, of course we would be more than happy to list your blog within our directory as well. Hannah: Thanks for your comment. You might want to contact the folks at relief.quisqueya.com. This might be more relevant to them. I'm unlikely to have many posts that would be up your alley!